Great article. It has helped me with understanding what I need to fix and has been a helpful start to creating a good learning system. Charles, you’re right that most people get it. Traditional approaches to training have a role to play in organizational development but it’s an increasingly reduced role. However, while we may accept this in both L&D and the workplace, is the L&D community sufficiently skilled to create the sort of learning you suggest? My opinion: there are incidents of great work being done out there but overall people are struggling to meet the challenges of the day job too much to create transformational change in what they do. Great explanation Charles. And thanks araohanian - I think your comment is extremely valid and important. The lack of relevant skills and the need to just keep up with daily demands are I believe the key barriers to L&D functions wanting to adopt transformational change. The imperative for many organisations is becoming to find executive level support for this change. Business leaders need to be convinced that investment is required to support the shift L&D has to make in order to provide the services and outcomes 70:20:10 promises. If L&D can't change then it won't be long before savvy operational business managers see the benefits of just in time information and better connected communities and start adopting solutions themselves, further marginalising L&D into the 10% space. For some business leaders it may take a lot of convincing to accept that L&D, ie learning is actually a process - a natural outcome of doing work. And that solutions can be embedded in the workflow to enhance not just learning but business outcomes and productivity. It's a great challenge! As a TRDV Graduate Student at Roosevelt University this article was right on point for me. Your input and insight into the effectiveness of training or lack thereof was thought provoking. Concepts, Context, and Tasks seem to be fundamental to learning and training. Focusing on experiential learning is another aspect of the article I enjoyed. I appreciate the 70:20:10 model. There seems to be a reluctance to move to this type of model. In my experience companies continue to drive online training that is mostly content rich but lacks context and tasks that are based on experiential learning practices. We seem to stuck in a situation that promotes pushing out training to meet an immediate demand or as means and or manner to cut costs. 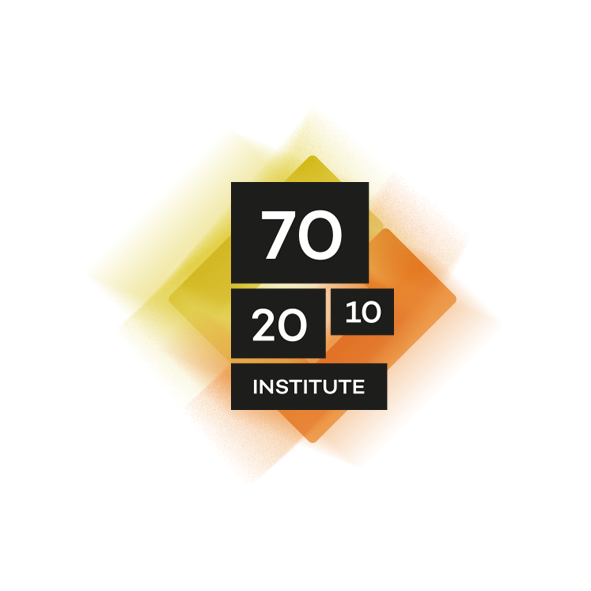 I am not confident that there are enough forward thinkers in Corporate America or Institutions to make a transformation to a solid 70:20:10 model. Making a transformation like this takes a great deal of commitment from leadership. The challenges that I have seen are related to time constraints and cost. It has to be viewed as more of investment than a cost in order to make the commitment needed to transform. I booked marked your site and look forward to seeing more good information, ideas, and insight here. I am also a Graduate Student at Roosevelt University. I am fortunate enough to work for a company that promotes this model actively with employees at all levels. This does also provide a challenge for me in that I have to help employees see the bigger picture of 70 and 20 to apply in their daily lives. I found your discussion of onboarding especially poignant. We recently developed training to help all managers understand how critical this process is and that it goes far beyond functional training. Thank you for the additional insight. We have a culture of 'TALK' at ClarkMorgan Ltd which stands for 'Tell, Ask, Listen, and Know'. This encourages our staff to take ownership of their own learning. Staff are not allowed to say 'I don't know' or 'nobody told me'. Likewise, people are not allowed to say 'I already told'. We have such a varied and imature culture within our organisation that it is difficult to pinpoint the exact medium used to roll out change. In most cases it is left to the functional management to develop their own programmes which can be good or bad depening on the capability of that particular silo. Great article - thought provoking.